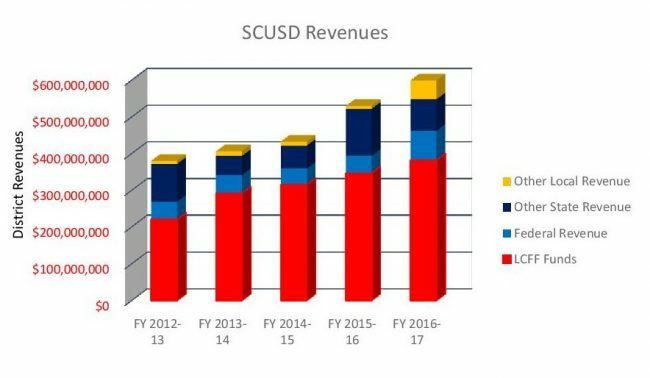 The Sacramento City Unified School District is in the best financial position it has ever been in its entire history. 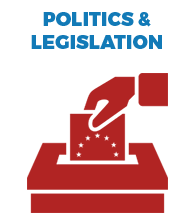 In its approved budget for 2016-17, the Districts begins the fiscal year with $56 million in its unreserved fund, $5 million higher than what was projected earlier in the year. That means the District ended 2015-16 spending approximately $14 million less than what it budgeted to spend, while students attended classes often without a fully credentialed teacher leading instruction. The District’s total revenues in 2016-17 will increase to $599,668,880, an additional $70,127,083. This is an increase of 13.2% since fiscal year 2015-16. 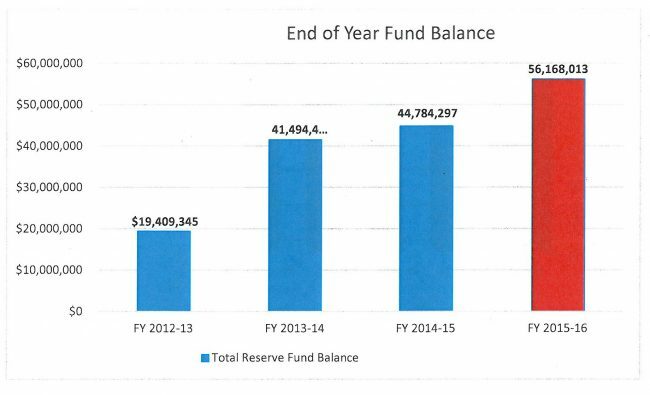 Since fiscal year 2012-13, the District’s annual total revenue has increased by $219,772,202, or by 57.9%. The District is in a much stronger position than it was prior to the Great Recession of 2008, but rather then spending its increased revenue on ensuring that students have a fully credentialed teacher in the classroom, the District seems more concerned with building up its reserve fund. Its $56 million unrestricted fund is more than five times higher than the minimum recommended by the State of California. 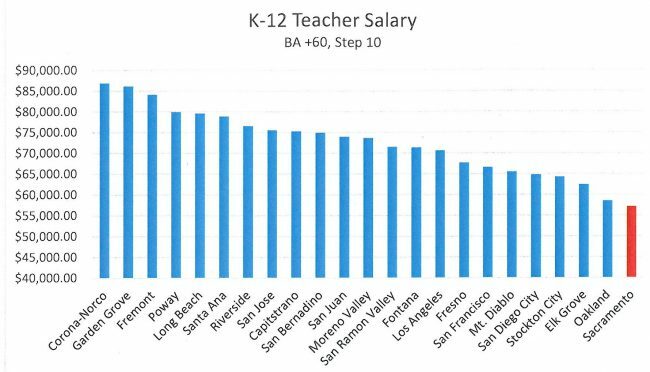 Unfortunately, when compared to the other 22 school districts in the state that have an enrollment of 30,000 students or more, Sac City spends 16%–or almost $700–less on teachers, but 4.3% more on administrators’ pay.